Opportunities to invest in nine projects worth more than £2 billion to Scotland’s economy have been announced by Economy Secretary Derek Mackay. 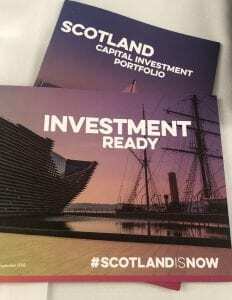 The refreshed Invest in Scotland prospectus is seeking to secure international investment in a mixture of public and private sector projects across Scotland. Projects highlighted include the Advanced Manufacturing Innovation District in Renfrewshire, Edinburgh Bioquarter, Dundee Waterfront and Glasgow’s Buchanan Wharf – the location of the new Barclay’s campus which will create up to 2500 jobs. Unemployment fell over the quarter and year and at 3.9%, Scotland’s unemployment rate is lower than the UK’s. There are now 132,000 fewer people unemployed in Scotland than the recession peak and we continue to outperform the UK on both employment and unemployment rates for women and young people. While these results show a decrease in employment, our employment rate has increased over the longer term and remains high by historical standards. We have 71,000 more people in employment compared with the pre-recession peak. The Enterprise and Skills Board published its Strategic Plan. It gives clarity around strategic direction to the enterprise and skills agencies – Scottish Enterprise, Highlands and Islands Enterprise, Skills Development Scotland and the Scottish Funding Council, as well as the new South of Scotland Economic Partnership. Derek Mackay, Cabinet Secretary for Finance, Economy and Fair Work, welcomed the plan and said he was looking forward to working with the Board on its recommendations. Cabinet Secretary for Transport, Infrastructure and Connectivity, Michael Matheson outlined in The Scotsman this week how the Scottish Government was delivering the world class infrastructure the country needs. 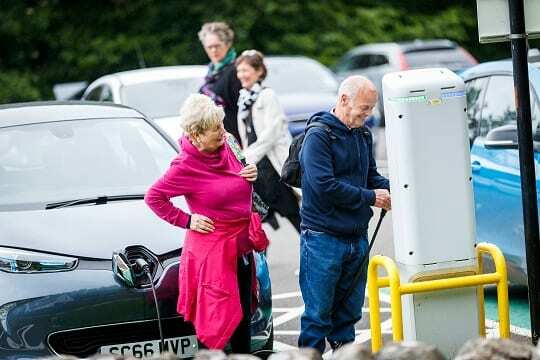 More people are to be given the opportunity to use ultra-low emission vehicles (ULEVs) thanks to a £700,000 investment fund from Transport Scotland. Welcoming the scheme, Cabinet Secretary for Transport, Connectivity and Infrastructure Michael Matheson said: “The Scottish Government has an ambition to phase out the need for new petrol and diesel cars and vans by 2032 and to do this we need to widen access to electric vehicles to communities across the nation.